For homework, the grade 1 class were asked to draw their parents at work. 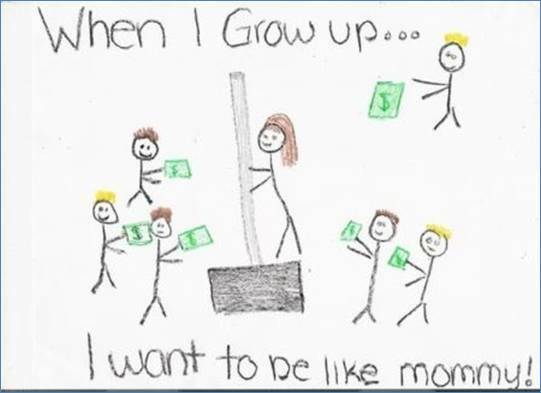 I wish to clarify that I am not now nor have I ever been a pole dancer. From now on I will remember to check her homework more thoroughly before she hands it in. I am grateful that I am not as judgmental as all those censorious, self-righteous people around me.